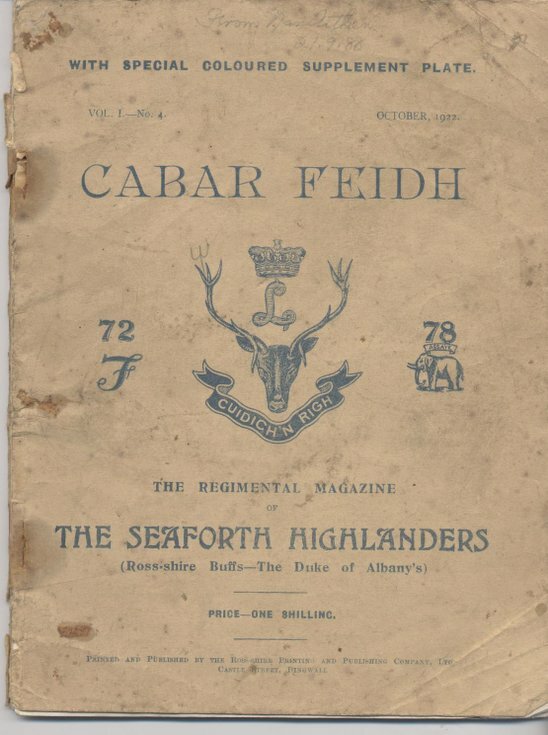 Cabar Feidh - The Seaforth Highlanders Regimental Magazine for October 1922. 62 page magazine stapled in thin cream card covers, with notices, historical articles, regimental events and news, and adverts from military suppliers. Donor's father James Aitken was in the 1st Sutherland Rifle Volunteers.